My godmother's leaving early morning today to go back to the States, so we had dinner last night. I was very delighted to know that we were eating at Relish. 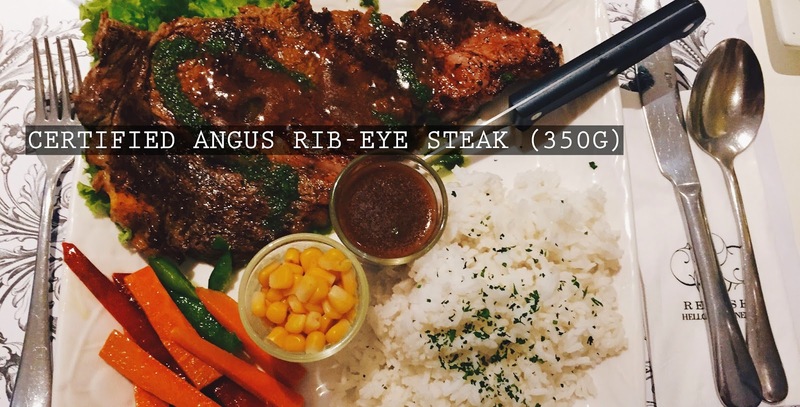 I cannot forget how tasty their steak is so I ordered their Rib-Eye Steak again. As usual, I ordered rice as my side dish. Although I wasn't able to finish the rice because the steak was just too heavy, it doesn't mean that it wasn't good. It was very tasty - it wasn't too salty but it wasn't bitter. So much steak-goodness in every bite. Obviously, this dish is grilled. It wasn't dry at all, and just like my steak, it was hella good. 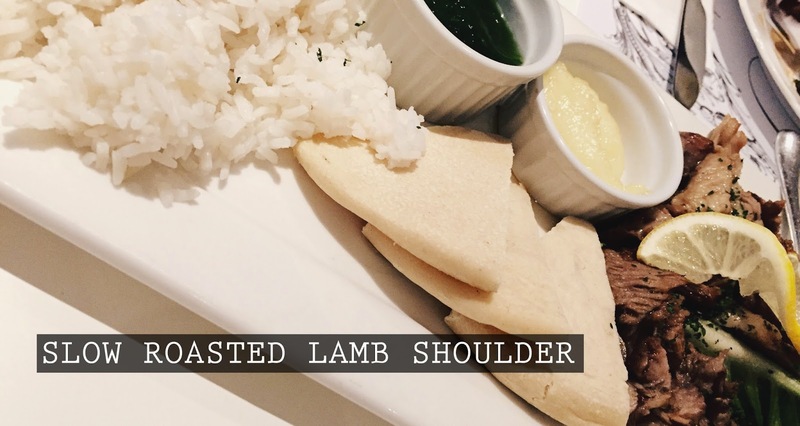 This Slow Roasted Lamb Shoulder went really well with the aioli dip. If you haven't tried any dish with aioli on the side, aioli is a dip that's made of garlic, olive, eggs, and seasonings. 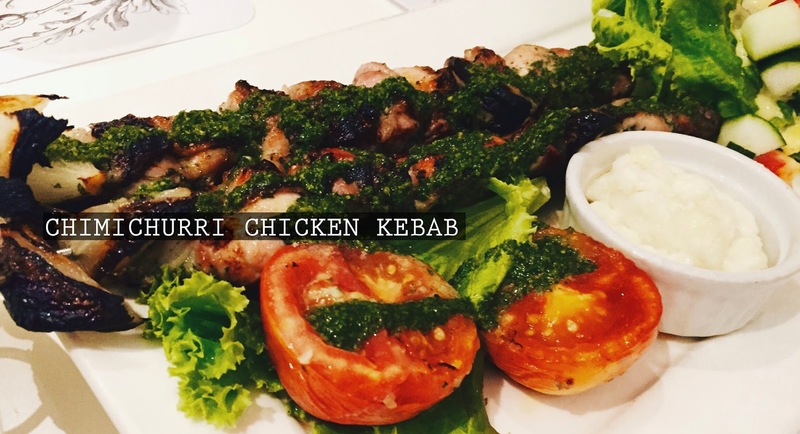 I tried the kebab and steak with it too. Relish probably has one of the best aioli dips I've ever tasted. 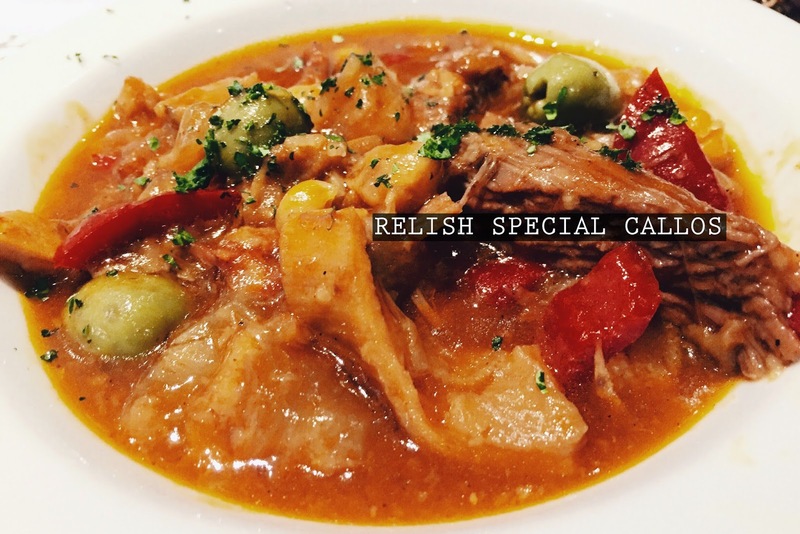 My personal favorite Callos is from Conti's, but Relish Special Callos is indeed, special. It's best mixed with Tabasco to have a little extra kick. I ordered Callos for the sole reason that my mom wanted me to enjoy it for her, since she's not here right now. 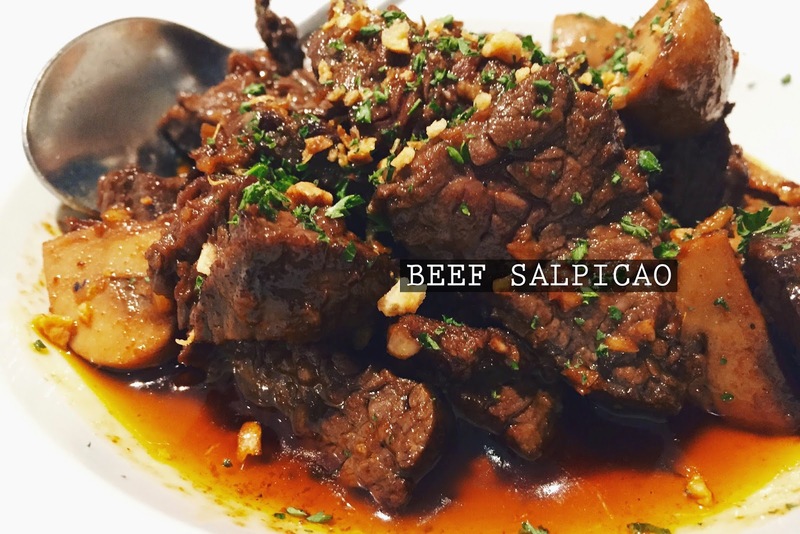 The Beef Salpicao was good, but I liked the Pork Salpicao better last night. I think it has something to do with the beef. Nevertheless, it was still delicious. 2 comments on "Food: Monday's Feast"